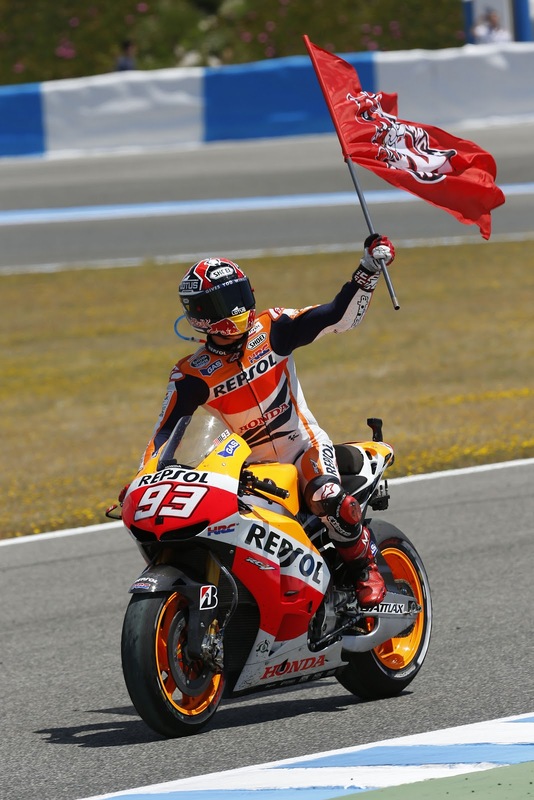 Marquez: "We have to keep our feet on the ground"
3rd consecutive podium of the season last time out in Jerez, punting reigning champion Jorge Lorenzo out of the way in the final turn to take second, behind his team mate. Marquez has had previous success in the lower classes at the Le Mans circuit, with a podium in 125’s and victory in Moto2 two years ago. Last year the Spaniard fell victim to the drenched weather conditions, departing company with his Suter while near the front. Previous Previous post: Rea: "It’s hard to stomach an eighth place from a weekend"